Protein is used to improve muscle production. It’s also an essential nutrient for optimal health. Protein contains amino acids that are responsible for repairing cells, building/repairing muscles, and energy production. So What Exactly is Whey Protein and What is the Source? This is whey protein in its purest form and the best for you. It comprises 90% protein and has little to no fat, lactose, or cholesterol. Whey protein isolate is especially beneficial for lactose-intolerant individuals. It is the most biologically available naturally known occurring protein. According to the Whey Protein Institute, the body uses more energy to digest protein, which creates a thermic effect and allows you to burn more calories after a protein rich meal. Whey protein also controls blood-glucose levels, which can help to prevent type-2 diabetes by reducing glucose absorption into the bloodstream. Slower glucose absorption also curbs the need to snack on unhealthy foods between meals resulting in healthy weight-loss. Alternatively, it has also been shown to decrease weight-loss in people suffering from HIV (Aids) due to its muscle-building properties. Whey protein slows the production of the stress hormone, Cortisol, which has been proven to reduce stress and depression. It releases Serotonin, a calming hormone that helps those suffering from anxiety disorders. Numerous studies have been undertaken to determine the effect of whey protein on cancer cells and the link between whey and cancer prevention. The results are very exciting. Studies show that dietary whey protein supplements reduce the risk of prostate cancer in men by increasing cellular levels of the antioxidant glutathione, which works by protecting cells against free-radical damage. In vivo research on the link between reduced cancer risk and whey came up with some great findings. Whey protein inhibits the growth of breast cancer cells at low concentrations. Whey protein isolate powder is available at many nutrition or health-food stores. If you want organically sourced whey protein isolate, you’ll want to buy from EnergyFirst. 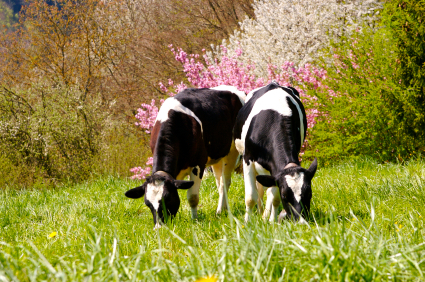 We know the farmers, and even some of the cows that produce the whey for our products. All our whey protein is sourced from grass pasture fed cows not treated with any hormones or antibiotics. We also avoid exposing the protein to any heat, acid, or other processing techniques that could denature the whey and eliminate some of the powerful immune boosting benefits outlined above. If you’re an athlete or bodybuilder looking to build muscle mass, test approximately 8 to 12 tablespoons per day and measure your results. If you’re an athlete or just looking to lose excess weight, try 8 to 10 tablespoons per day. If you just want to take it for health reasons, you should start with 6 to 8 tablespoons per day. Whey protein isolate is an essential nutrient that is vital for everyday health. It’s easy to incorporate into our daily lives, by simply adding to drinks or food. It’s an excellent choice if you want to make a positive change to your life!